Dimity drifting down the line. James Wood finding his happy zone. About to tuck under a meat grinding lip. Paradise on the edge of the map with Dimity Stoyle, Andy Schwartz and James Wood. In early November 2014, Tracks & World Surfaris took three very different surfers to East Java. 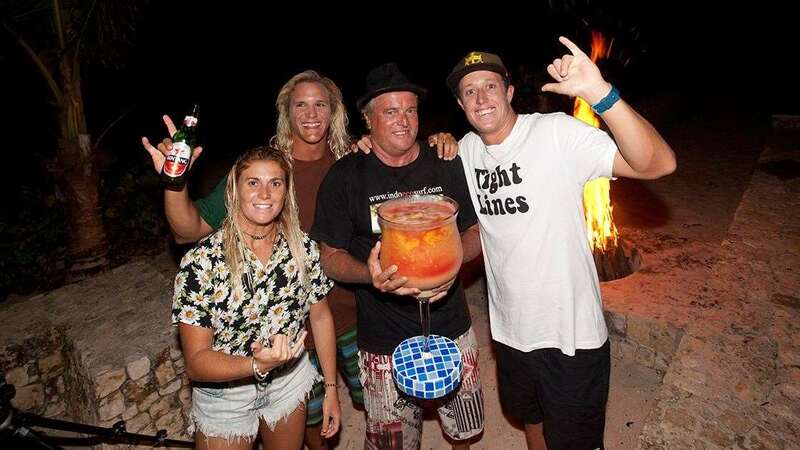 Pro surfer Dimity Stoyle, the soul-surfer & big wave charger Andy Schwartz & the former Under 16 & Under 18 World Champ & knockabout comedian James Wood. They discovered the pleasures of uncrowded waves in Pacitan & enjoyed the delights of the IstanaOmbak Eco Resort. The trip was recorded in the DVD "Know Where To Go", which was released in the April issue of Tracks. The IstanaOmbak resort sits in the middle of a picturesque bay, fringed by palm trees & bookended by tall cliffs. A left hander peels down one side of the bay - a right hander peels down the other. The channel in the middle makes for an easy paddle-out, from the beach, to your preferred takeoff zone. And when it's on, it barrels. IstanaOmbak has a delightfully refreshing approach to hosting surf adventures. The all-inclusive pricing includes as much food and beer as you can drink. The menu is not set & repeated & recycled each week. The kitchen staff uses the seasonal produce that is fresh & best to produce dinner each night. During the day (with some minor restrictions), you can eat your choice of meal at whatever time you like. 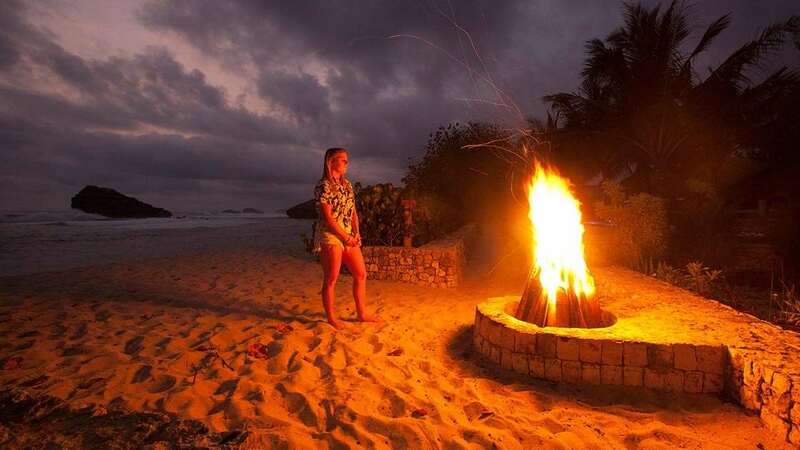 If you would like to experience the magic of IstanaOmbak, World Surfaris are offering free travel insurance for the duration of your stay at the resort (including travelling time) for anyone making a booking for IstanaOmbak before 31 May 2015. Actual travel can occur anytime within 18 months of the booking date. Watch a sneak peek of their adventure right here.